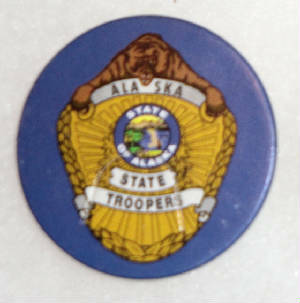 This page includes other Alaska State Trooper items in my collection including challenge coins, pins, mini badges, and other hard to find memorabilia. 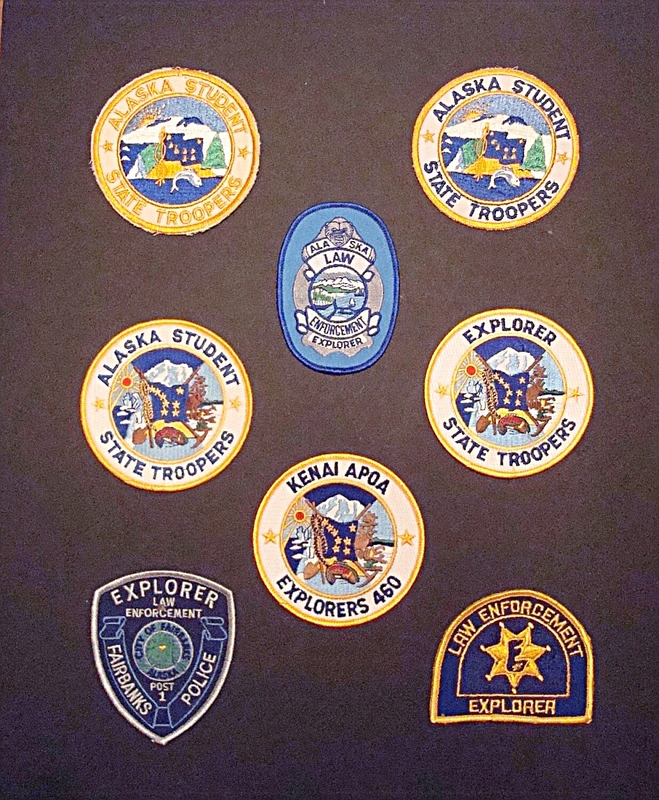 This is an assortment of Alaska Student State Trooper patches and Explorer patches. 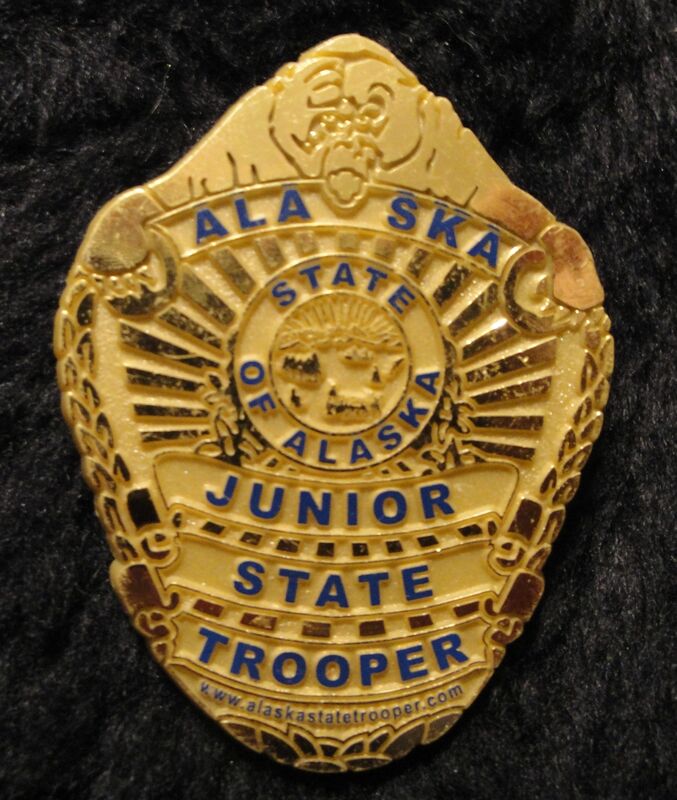 The Alaska Student State Trooper program is where I got my start in law enforcement while in High School. 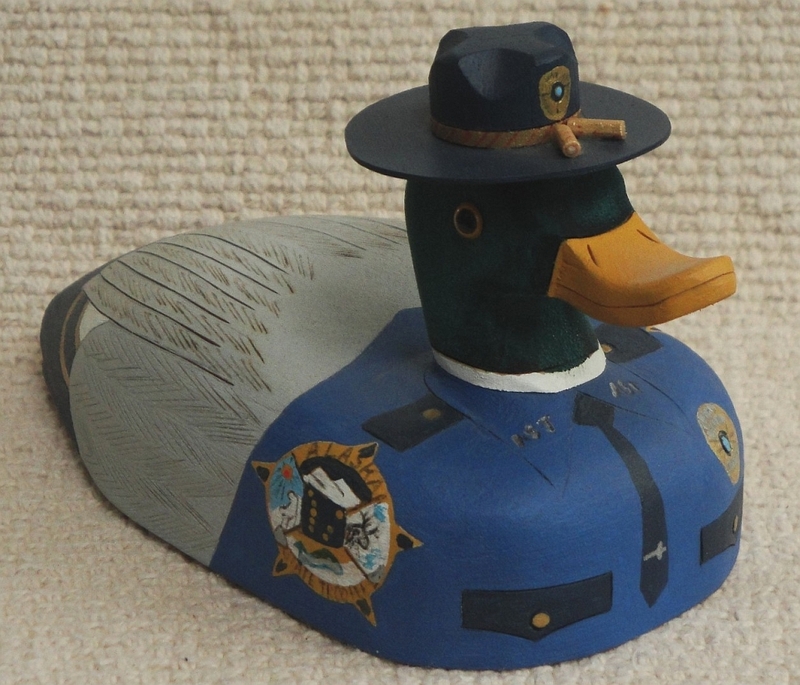 Unusual carved duck decoy painted with the Alaska State Trooper uniform. 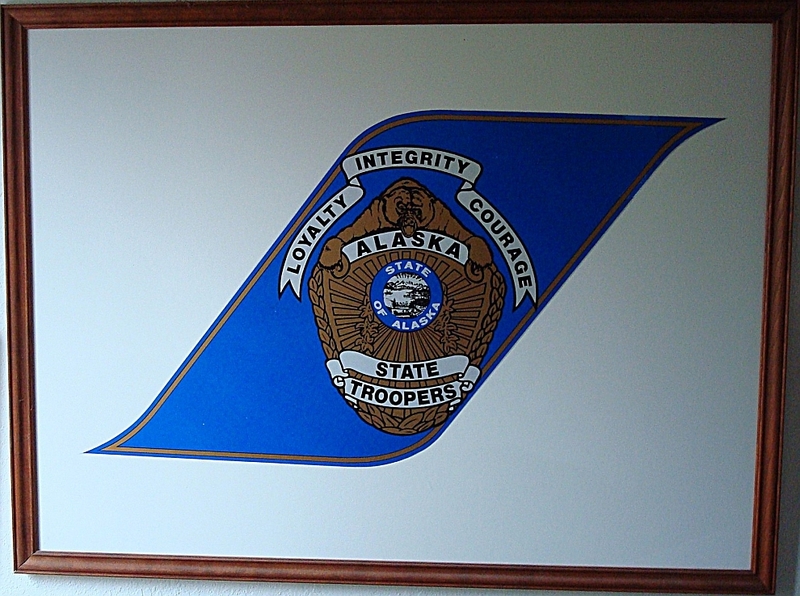 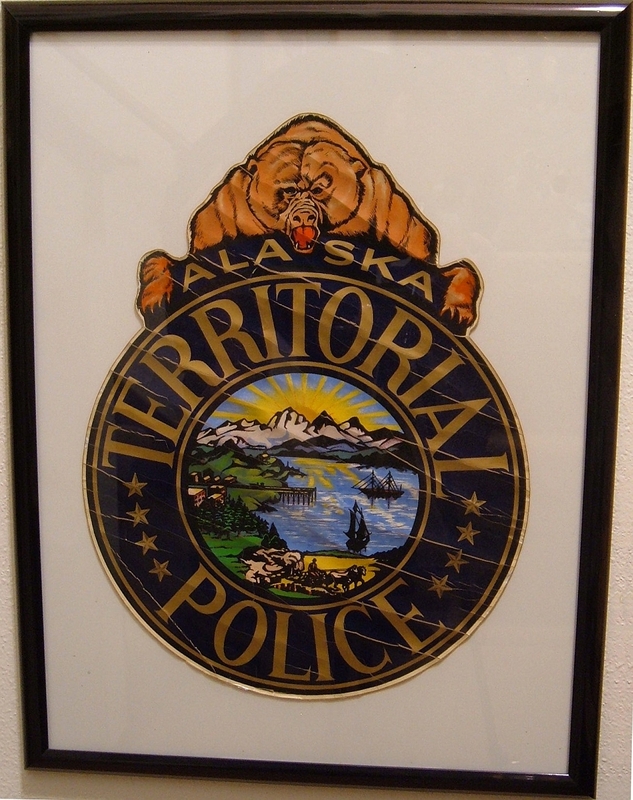 Patrol car door decal of the Alaska State Troopers. 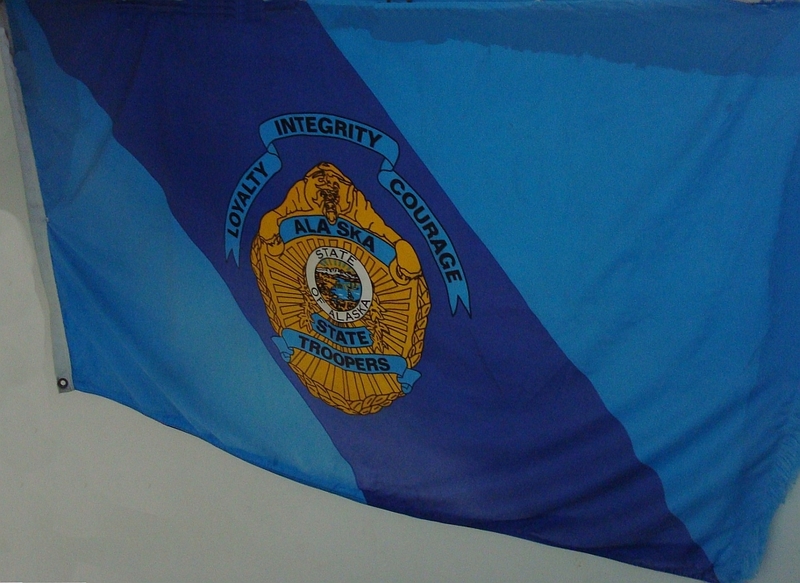 This flag was flown at the Ketchican post of the Alaska State Troopers. 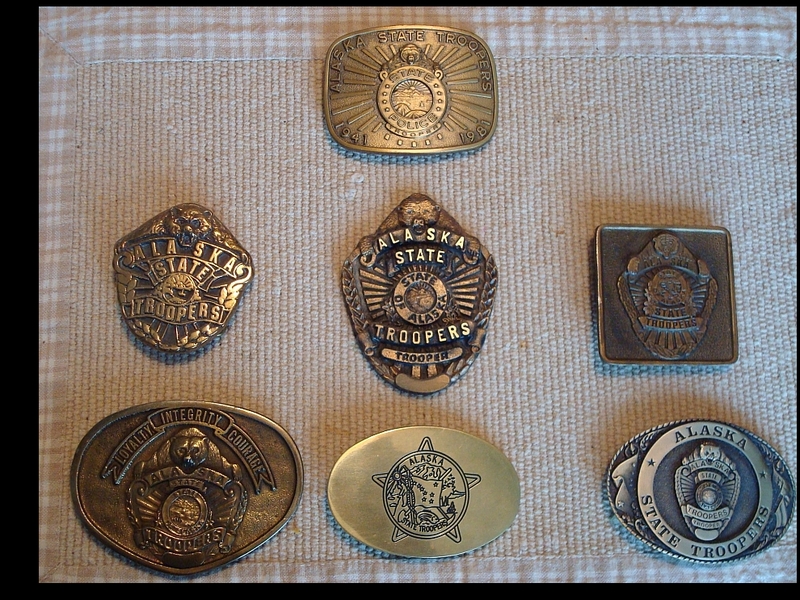 A variety of Alaska State Trooper related belt buckles. 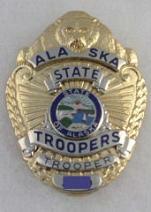 A variety of Alaska State Trooper pins and mini-badges. 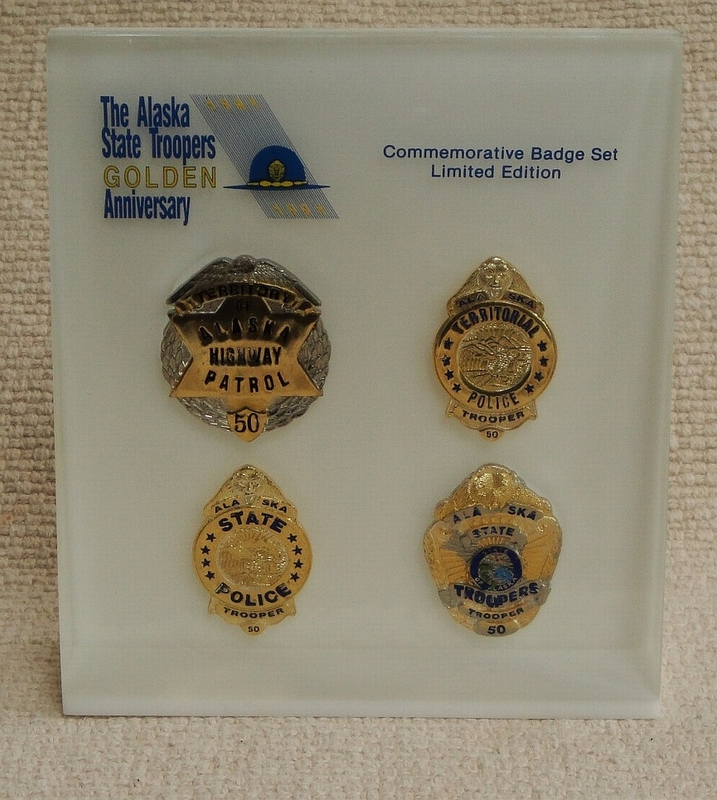 Anniversary lucite display of the Alaska State Trooper badge styles. 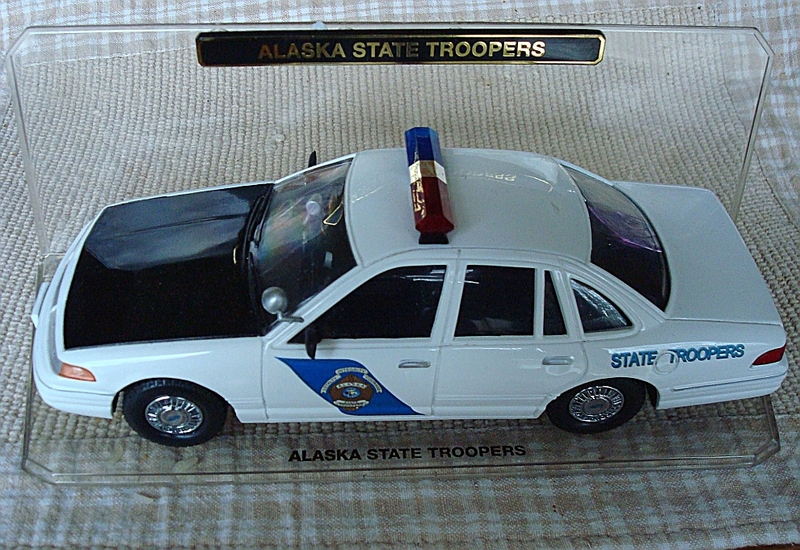 Code 3 model of Alaska State Trooper patrol car. 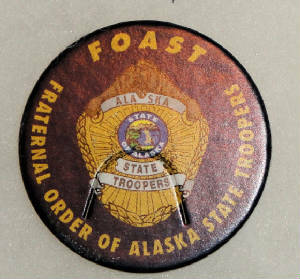 Remember when the kids were all crazy over POGS. 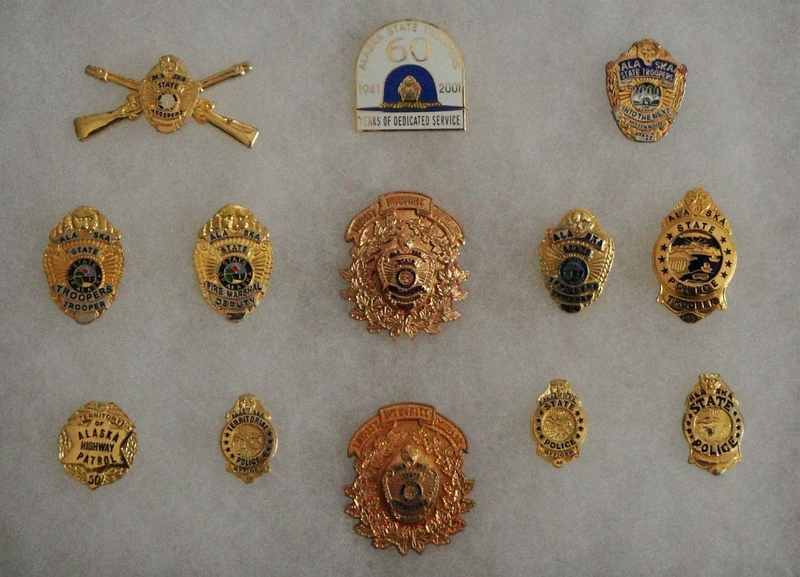 Here's a few AST versions.